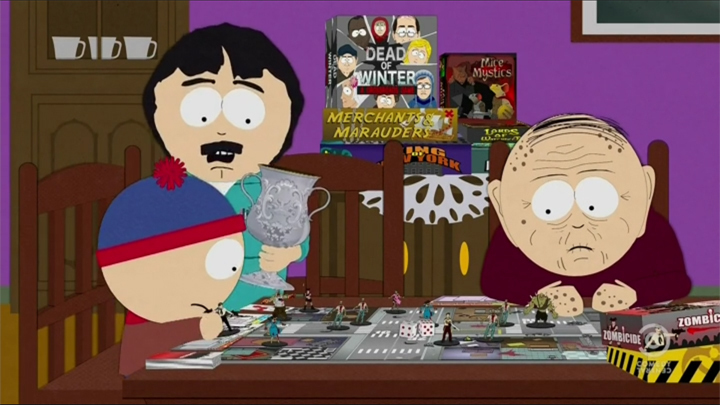 Latest episode of South Park features Stan playing Zombicide with his Grandfather and a bunch of other games in the background. Mainstream media, baby! High level of attention to detail on Zombicide as well. They must be fans! Who doesn't love zombicide? South Park characters for season 4? Aneurin wrote: Who doesn't love zombicide?